Rated: PG-13 for some heavy dramatic stuff, including a moment of violence. 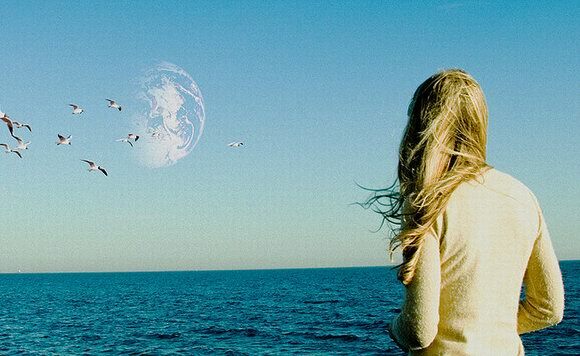 Another Earth is a small drama with a science fiction twist that tries to incorporate that question, along with many others. This Sundance smash combines an intimate drama, not unlike many that emerge from Salt Lake City, and a science fiction allegory that is less imaginable or plausible than it is pumping for philosophical inquiry. The film asks a simple question: What would you do if you knew there was another you out there? Directed by Mike Cahill, who co-wrote the script with the film’s star Brit Marling, Another Earth gently pokes at these questions with some profound implications, while delivering a more-or-less standard drama about coming to terms with oneself. The film begins with Ms. Marling as Rhoda, a brilliant high school graduate on her way to MIT to become an astrophysicist. But her future drastically changes when she drunkenly smashes into another car, leaving the life of a music professor named John (William Mapother) forever changed. The film cuts to years later, when Rhoda is released from prison, and John has become a former shell of himself. Rhoda goes to apologize, but when he finally sees her, she makes up a story instead (A very necessary plot detail is only revealed late in the film that confused me—John never learned who she was because she was a minor). As Rhoda and John form a tenable situation where she cleans his house, a second narrative develops about the discovery of another planet, which turns out to be not just another rock in space, but a symmetrical Earth (Brian Greene and other philosopher-scientists have written about the reality of parallel universes, making the film’s science slightly relevant). Rhoda enters a contest to travel to what becomes known as Earth 2, hoping that she can meet her parallel self, who she hopes has not repeated the same mistakes as her. The idea of Earth 2, and the philosophical premises that emerge about thinking of such a concept, are quite unique and provoking. Mr. Cahill and Ms. Marling avoid easy traps by leaving the raising of such questions not to their quotidian characters but to scientists heard on radios and in voice-over, accompanied by the breathtaking shots of the second Earth hanging ominously over the sky. For a film with a small budget, those shots work effectively in creating a sense of both looming doom and endless possibility. The narrative below the sky, however, is the kind of thing we’ve come to expect from Sundance dramas (quirky but not in the humorous way). Ms. Marling and Mr. Mapother have great chemistry, and a number of their scenes are quite touching, but many feel hallow or staid, almost like checking off a list of moments that need to happen in these type of dramas (discovery of photos, an accident involving a minor object, etc). I applaud Mr. Cahill and Ms. Marling from choosing a narrative away from the epicenter when it comes to science fiction, and using a narrative that really drives home the philosophical premises instead of focusing on what would have been quite silly specifics. Still, Another Earth feels like a great premise that never develops its characters to a full extent. 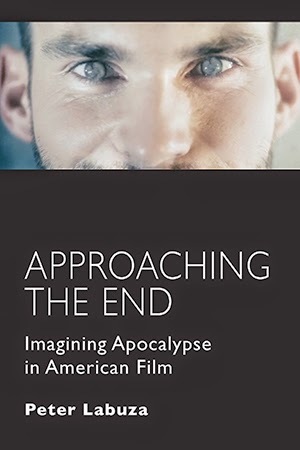 What we are left with is the ideas behind the film (it won the Alfired P. Sloan award at Sundance, given to science or technology themed films), which are more fascinating for us to think about than the characters. What would I hope my doppelganger did differently than I? What question would I ask him that I could never ask anyone else? Is the other me truly happy? Maybe the problem with Another Earth is that we’d rather have Rhoda’s reality be our own, because we are the ones who feel we truly need to find someone out there, not just like us—exactly like us. 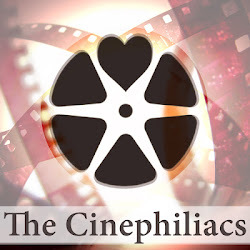 SPOILER NOTE—I AM ADDING A POSTSCRIPT TO THIS REVIEW IN WHICH I DISCUSS A PART OF THE PLOT THAT DISCUSSES THE END OF THE FILM. READ AT YOUR OWN RISK. One thing I was majorly disappointed with Another Earth is the film’s final shot. Like the ending to Christopher Nolan’s Inception, it gives a twist that makes viewers want to go back and re-watch the film for clues. However, unlike Inception, Mr. Cahill and Ms. Marling’s ending to the film serves no narrative or thematic purpose, except to give the film a jolt. It not only lacks a solution (the filmmakers have said they know its meaning, though it is impossible to figure out from just reading a film), but it doesn’t add anything to the story. I think Mr. Cahill and Ms. Marling shoot themselves in the foot with the ending, because it leads people to want to discuss the ending instead of the film as a whole.